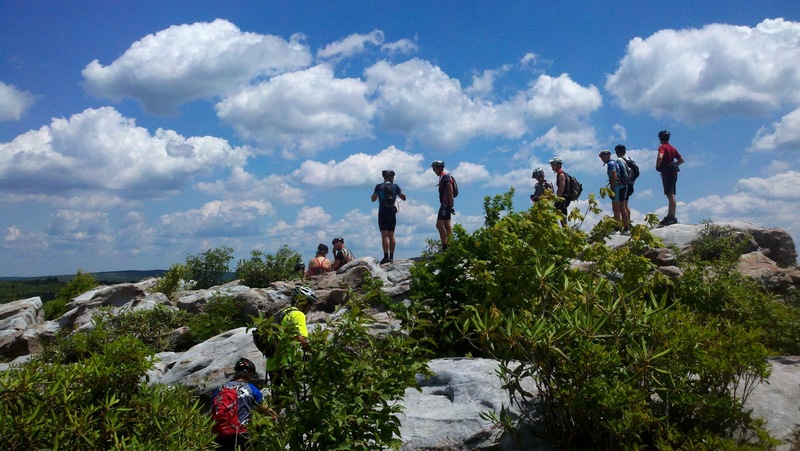 Saturday June 20 Free Group Rides led by locals. Eight unsupported rides will be offered this year. 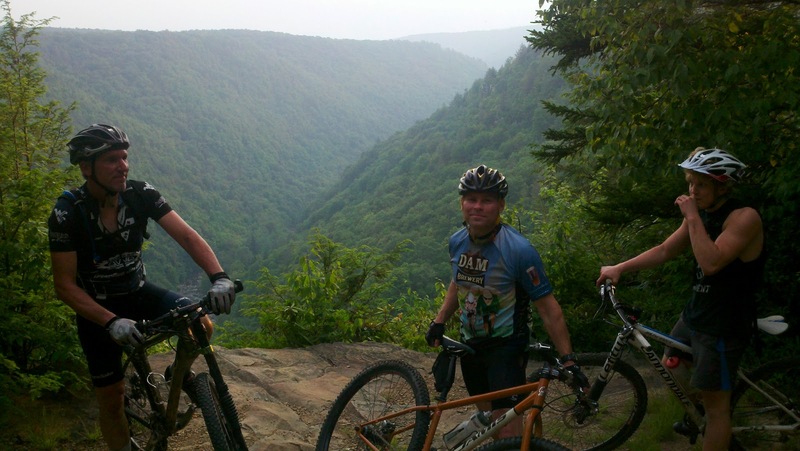 The purpose is to have fun, look at the scenery, talk to each other and ride trails! THE BEGINNER RIDE: RIDE LEADER: MR. JEFF. Jeff is the head brewer at Stumptown Ales. He's been riding since the stone age, but likes to take it easy. Most likely going out CVI trails and along Camp 70. Starts at 10am at Blackwater Bikes. 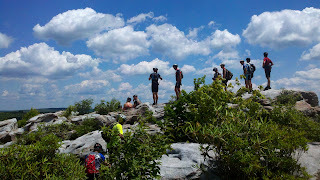 The Nature Lover's ride: Ride leaders: Local natural and historical gurus, Jess Tucker and Dr. Ed Rader and friends. This ride is for people who like to learn about nature and the unique natural history of the Canaan Valley while they ride trail. Past years have explored Beaver Ponds, Waterfalls and mushroom hunting. This is not a beginner ride, because there will be some technical trails, but pace is mellow and lasts 2-3 hours. Starts at 10 at Blackwater Bikes. 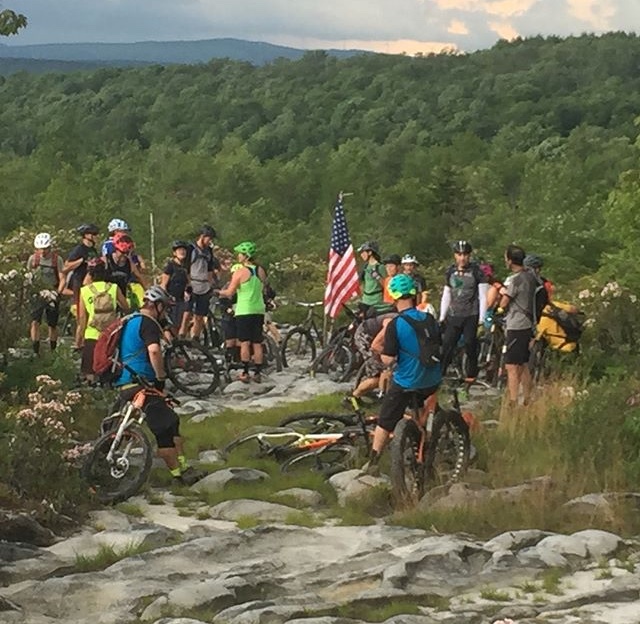 WOMEN'S RIDE: Ride Leader: Local character Kim Johnson and friends will show the ladies around some near by trails. There are options for shorter and longer routes. This is a friendly, supportive ride. Prepare to giggle! Meets at 10 at Blackwater Bikes and lasts 2-3 hours. Mountain Top Ride: with Keith Straugbaugh Shuttling up to Loop Road to ride the some Enchanted Forest, tech fire break and then descend to town. Technical , net loss in elevation. About 2-3 hours. Meets at 10 at BWB. Valley ride: with Stro Check out the trails on the Beall Tract and the newer Blackwater View trail. Meet at 10:30 at Beall Tract on Cortland Road. This is mellow, gorgeous terrain. This ride has options to go longer and circumvent the valley or shorter as an out and back. Double Down : Ride leaders: Jason Cyr. 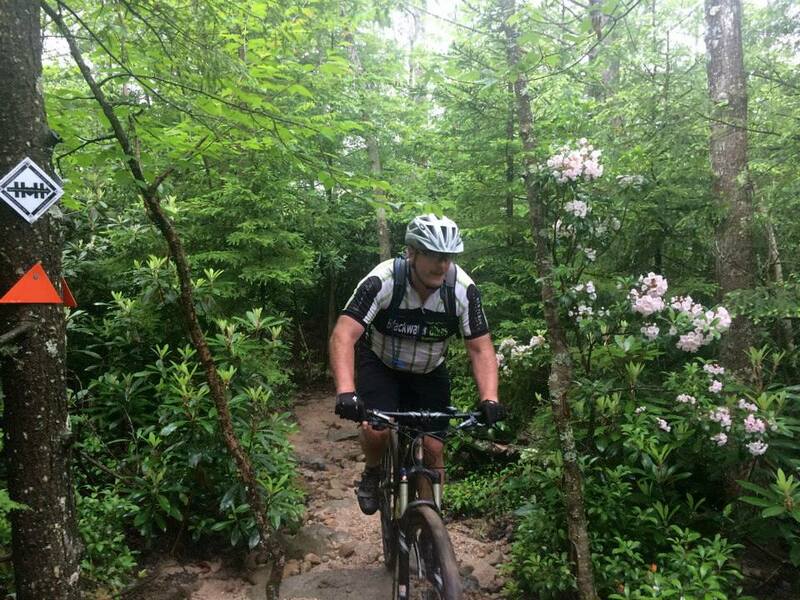 This ride cruises out the race course and up to the world famous Moon Rocks , Down Hoo-Doo rocks, across the Blackwater and climb up the Little Canaan "haul" road, down Hellbenders and finishing up on Splash Dam and back to Davis. Around 4-5 hours with bail out spots. 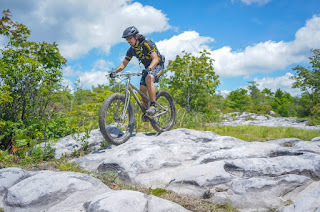 Many rocks and special bogs on this ride. Starts at 10 at Blackwater Bikes. Local's Choice: Robbie Hall's ride: Route TBD Local nice guy and famous rabbit hunter takes you on his favs. 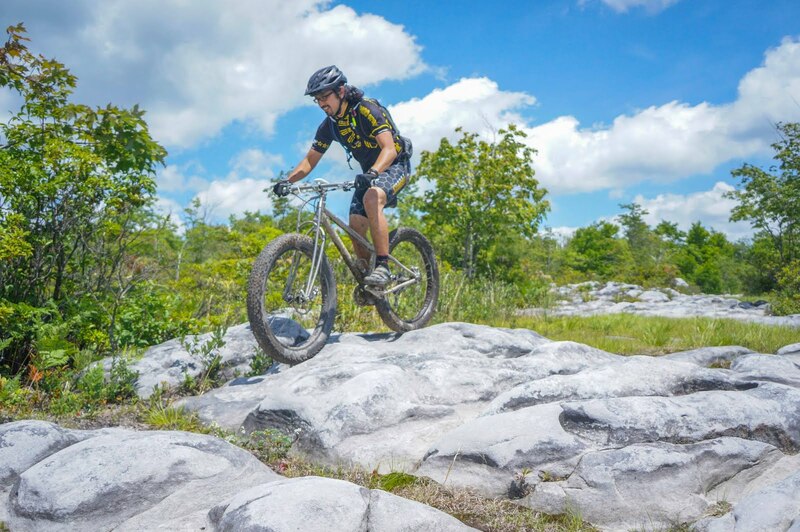 Typically rides up and down Canaan Mountain. Mellow pace, but some techy trails. Starts at 10 at Blackwater Bikes. Adventure Ride: Ride leaders: Sue Haywood and Todd Romero. This is the long ride that covers both challenging singletrack and fire roads. We will be determining the route soon, but it will be a nice long day in the woods. This ride meets at 9 and starts promptly at 9:30 at Blackwater Bikes. 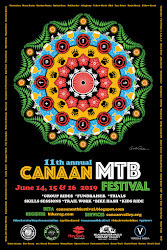 This is a great way to connect singletrack and see all of Canaan Valley. This ride moves slow...lots of stops and chatting. These rides are not "guided", but will have local riders volunteering to lead them. As always in mountain biking, you need to be well equipped and prepared with food, water, tools , a map and cell phone and first aid. Mountain Biking is an inherently dangerous and vigorous endeavor. Be responsible, ride safe and follow the IMBA rules of the trail. You are always welcome and encouraged to ride on your own with friends to keep group sizes smaller and join the party later. Awesome line up y'all. I hope to participate in everything my little legs can handle. thank you for making Canaan so wonderfully accessible and fun!